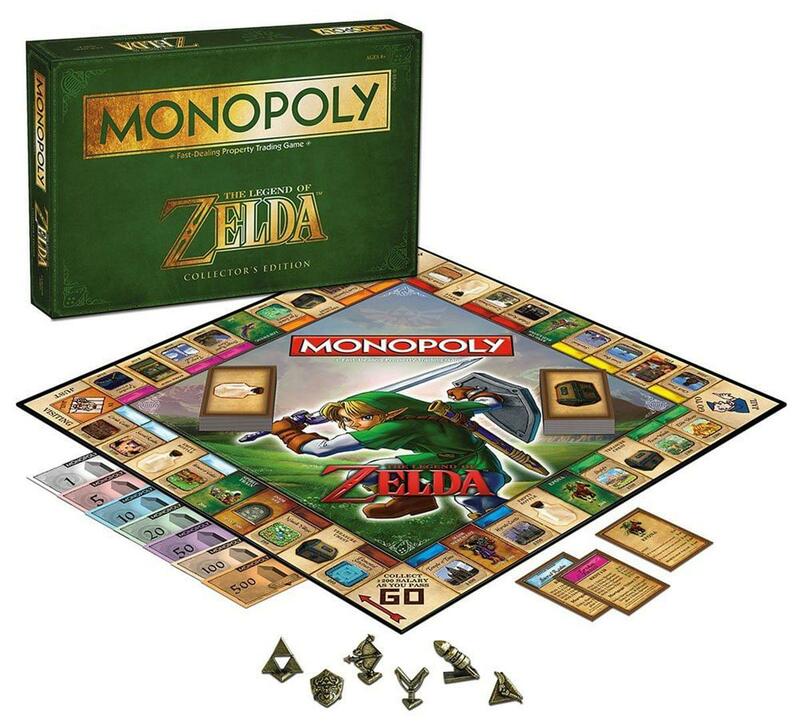 Celebrate one of the most revered video game series of all time in this special Collector's edition of The Legend of Zelda Monopoly. 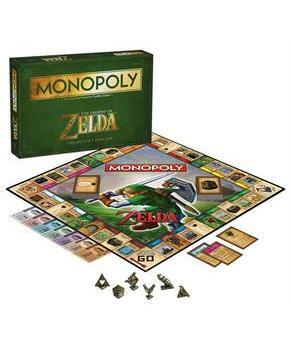 Players buy, sell and trade iconic locations throughout the land of Hyrule including Link's House, Temple of Time and the Lon Lon Ranch! Game comes complete with 6 collectible tokens, custom houses and hotels and custom dice.